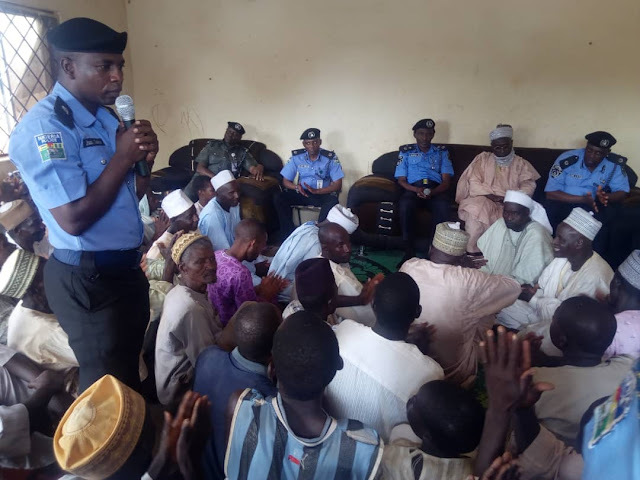 The Commissioner of police Katsina state command, CP Muhammad Wakili FSI, hold community policing outreach program meetings with communities in Charanchi local government area of Katsina state. Cliqq Magazine confirmed the report through the police public relation officer DSP Isah Gambo. He said that “the commissioner of Police went out for a community policing outreach program where he had fruitful discussions bothering on issues relating to conflict resolution between communities of Dafara, kukiya, Yanmudi and Majen waya all of Charanchi LGA of Katsina state”. He added that “the CP brokered a peace between the two communities and urged them to be law abiding”. He also warned them report any suspected person or group who is bent on causing breach peace in the area. At the end, he advised the youths to shun drugs and report any suspected dealer of drugs in their midst. It was done in collaboration and support of the District Head of Charanchi, Sarkin Shanun Katsina, Alh Abashe Abdulkadir and all his Ward Heads.